... and striking a pose in Sedona. 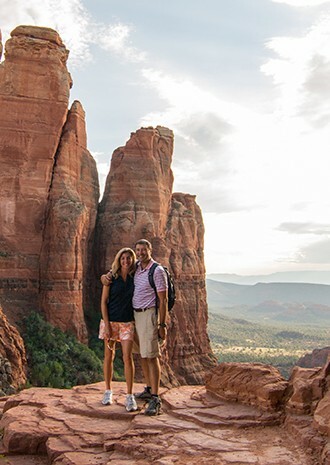 "Normally, I'd Never Have These Experiences"
Catherine Ianchulev and her family use a Virtuoso advisor – and see value at every turn. Catherine Ianchulev lives in Massachusetts now, but used to live in St. Louis – where she met Virtuoso advisor Julie Jones. Mrs. Ianchulev had used an advisor before and generally "loves to travel," but reached out to Julie for her 10th wedding anniversary trip. "We didn't know where we wanted to go," says Mrs. Ianchulev. "The basic idea was that we wanted something unique, new, and fun. Our advisor found us this sanctuary in Arizona, near Sedona. It was so amazing. It was this great suggestion that I never would have thought of myself." 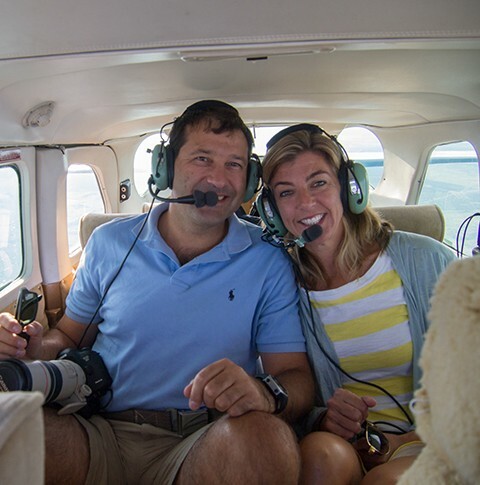 On that trip, Mrs. Ianchulev and her husband took a small plane above the Grand Canyon, an experience she describes as "majestic." That entire process was coordinated by her advisor, Ms. Jones. "Normally I would never have these experiences," admits Mrs. Ianchulev. 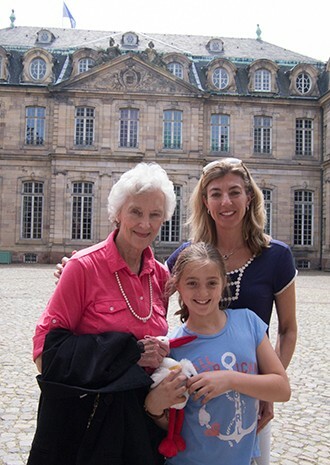 After the Sedona trip, Catherine's mother took her and and Catherine's daughter (her grand-daughter) to Paris; her daughter was 10 at the time and interested in art. The advisor arranged for a Parisian sketch artist to accompany the trio and paint/sketch different landmarks in Paris. Again, admits Mrs. Ianchulev, "This is something I could never find myself." Ms. Jones also coordinated a 12-person trip to the Dominican Republic ("my mother-in-law is still raving about that," says Mrs. Ianchulev) and her work has received a referral: Catherine's sister-in-law now works with Julie to craft travel experiences. "At a certain level, part of the value comes from, you know, I don't have time to do that much research," says Mrs. Ianchulev. "But the value goes way beyond that. Everything is taken care of. It's amazing." This is important for the Ianchulevs as a family. "We live in an area with not a ton of diversity," says Catherine. "I want our kids to experience the real world and see culturally-diverse things. Whenever we think about trips now, we're thinking about what we can learn from it."